Pregnancy comes with a lot of physical, mental and psychological changes for a female. While some changes may be easy to deal with, others may be difficult to adjust with and get used to. One of these changes is difference and changes in body odor. The personal aroma of most females changes during her pregnant nine months and for different females, the intensity of this change may be different. With an increase in blood supply to the vaginal area, the pH balance of this area may change and can lead to a doughy, sweaty smell. This smell is totally normal but anything other than this may need medical attention. Make sure that you avoid deodorants or soaps on the vaginal area as these may cause irritation. Look out for an itching or burning sensation or any kind of unusual discharge as it may be yeast infection. 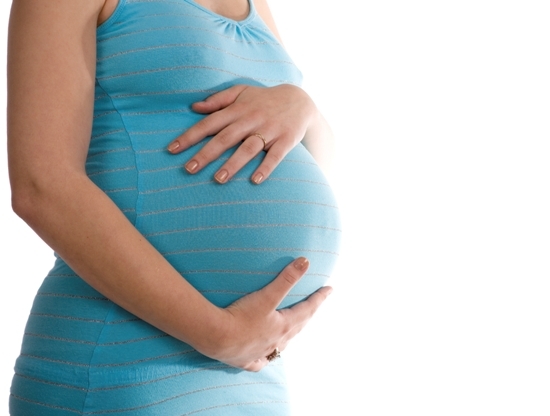 Another type of an odor which may change during the pregnancy months is the mouth odor. Since the level of progesterone alters during pregnancy, it may change the angle between the stomach and the esophagus which can lead to the rising of stinky gastric juices that result in a bad breath. Moreover, it is common for atleast 1 in every 5 pregnant females to develop a problem called pregnancy rhinitis which too can lead to further bad breath due to dried up saliva and smelly bacteria accumulation. Look out for a stanky mouth which might indicate a gum disease that needs medical attention as it can lead to preterm labor. During pregnancy, a female generally experiences a change in the body odor or rather an increase in the intensity of the odor from the underpits or the body. It is important to understand that this change is completely normal and is indirectly an effect of the rise in the basal metabolic rate. What happens is that the change in this rate leads to lesser supply of blood to the underpits which leads to an increase in the sweaty smell. But if you have been experiencing itching or a burning sensation in this part of the body, accompanied by an uncharacteristic odor, then this may be a result of an infection which may need medical attention as soon as possible. To avoid the natural body odor in the vaginal area, the armpits or the mouth odor, it is important to remain neat, clean and tidy at all times. The odor may only be bothering you on most occasions but it is still wise to clean your armpits regularly and powder them on hot days. Similarly, use plain water to wash your vaginal area every day and make sure you brush and floss your teeth twice a day.